Want to pick up a VR headset, but still unsure about the big investment? 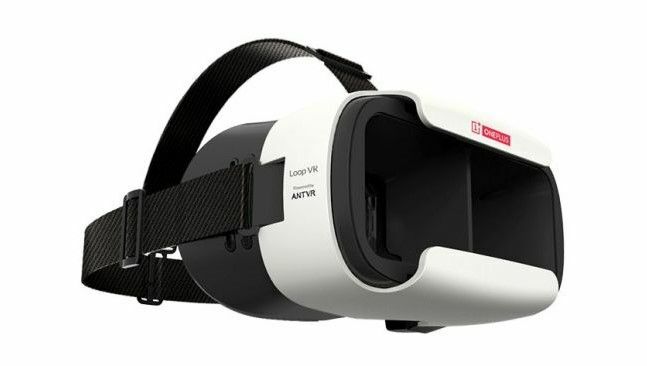 Well, Chinese electronics firm OnePlus has the answer - it's giving away 30,000 of its own OnePlus Loop VR headsets to help launch its new smartphone, the OnePlus 3, in virtual reality. You'll just need to head over to the official OnePlus website to bag one of the Samsung Gear VR-aping headsets before they're gone. You'll have to pay for shipping though, at £2.99 (US$4.99) for 3-7 days or £9.99 (US$17.64) for 1-3 days. This isn't the first time the company has used VR to launch a new smartphone. A virtual, invite-only shopping experience was set up to promote the launch of its last smartphone, the OnePlus X so clearly it's got a lot of faith in the platform as a means of connecting with potential new users. "Last year, we made 30,000 OnePlus Cardboard viewers and sent them to our fans for free (plus shipping) before the launch," comments CEO Carl Pei. "This year, we're taking this one step further too. Forget cardboard, this year we're excited to bring you the OnePlus Loop VR Headset - for a more robust, immersive and comfortable experience. Loop VR is beautiful, and developed together with our buddies at AntVR who are pros at VR optics. We're confident that this year's experience will be vastly improved." With the headsets set to ship in June, you can expect the The Loop VR event to take place sometime after that.